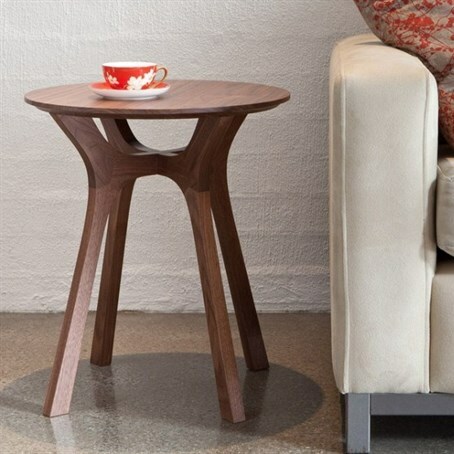 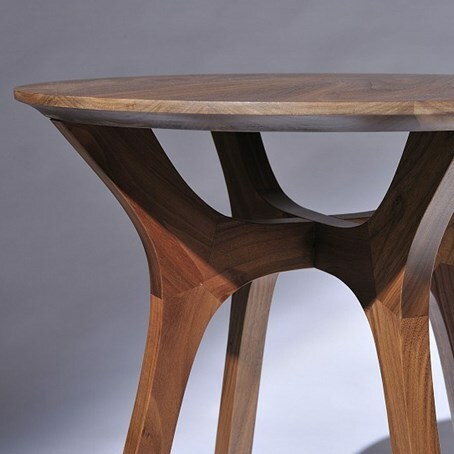 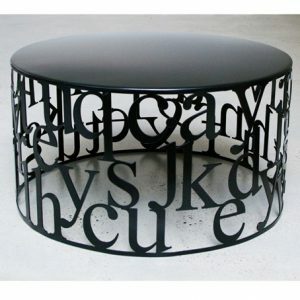 The Lyssna side table utilises an intricate three way joinery system to achieve the fluid and organic leg structure. 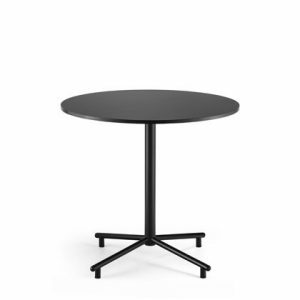 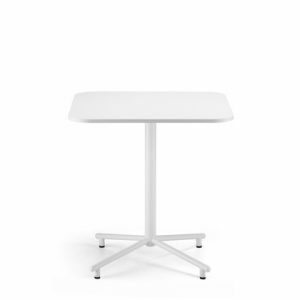 The concave profile on the underneath of the table top creates a seamless transition between top and legs. 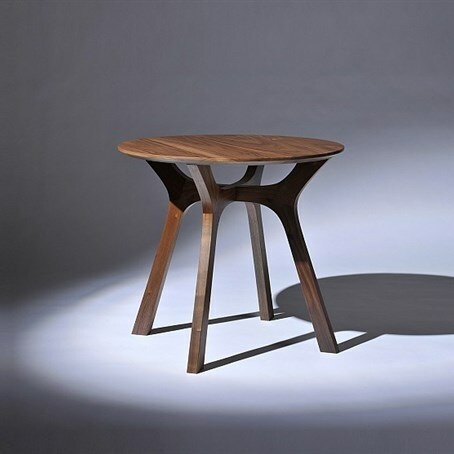 Featured here in American Walnut with a Clear lacquer finish. 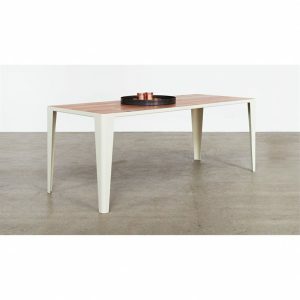 Please refer to the Materials and Finishes page for finishing other options.